MOSCOW, March 6. /TASS/. Russia’s Khrunichev State Space Research Center is developing a program jointly with the State Space Corporation Roscosmos to boost the reliability and efficiency of Proton-M carrier rockets and Briz-M upper stages in the next three years, the Khrunichev said on its website on Wednesday. 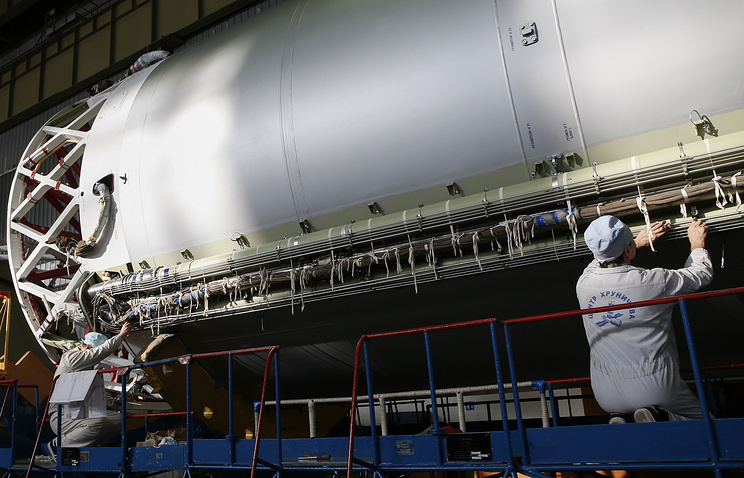 "The comprehensive work on ensuring the reliability of Proton-M rocket launches will be continued. 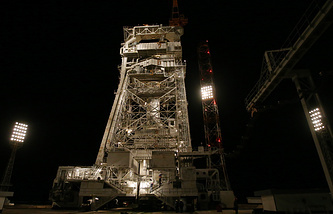 The management of the Roscosmos State Corporation and the Khrunichev Center have made a decision on developing a program aimed at boosting the reliability and efficiency of Proton-M carrier rockets and Briz-M upper stages in the next three-year period of 2019-2021," the statement says. A similar program was earlier worked out and implemented in 2016-2018. As the Khrunichev Center said, the program focused on exposing, analyzing and removing defects and faults, as well as other measures. Khrunichev Deputy CEO for Foreign Economic Activity Andrei Pankratov was cited by the company’s press office as saying that the results of the work on boosting the reliability of carrier rockets were obvious, as "14 successful launches of Proton-M carrier rockets have been conducted since May 2015 to date. ".